Every form of entertainment has its legendary acts. The world of music has performers like Eric Clapton and Billy Joel. TV has its cornerstones like The Simpsons and Law & Order. Areas of entertainment that have been around for years upon years have picked up legions of die-hard fans and show no signs of stopping. They'll forever be a part of the entertainment landscape and are absolutely crucial to the media landscape we have today. Just as with music and TV, the video game industry has its big-name players. Games that have been around for countless years, yet seem to maintain the quality they've had since day one. Nintendo has its Super Mario franchise, and Namco Bandai has Pac-Man. However, Tetris stands out as not only being timeless, but a game that spans multiple platforms. In fact, Tetris earned the Guinness World Record for most ported game back in 2008. More than 30 years after its creation, Tetris is a puzzle game that continues to capture the hearts and minds of gamers. Over the last 3 decades, Tetris has seen multiple titles release across all sorts of platforms. Today, you can play Tetris on dedicated gaming platforms, portable devices, mobile phones, tablets, and more. So, how has the franchise managed to maintain a prominent place in the gaming industry for so long? It all boils down to a ridiculously simple, yet wholly addictive premise. Stack Tetriminos to create lines, clear lines in the Matrix to save space, and don't reach the top of the Matrix. That's all there is to it! The thing about Tetris is, there's endless possibilities for every Tetrimino that falls into the Matrix. By rotating a Tetrimino, then dropping it through the Matrix, you create a plethora of opportunities for yourself. There will never be two Tetris games played in exactly the same way. There have been countless other puzzle games over the years, and there were certainly some fantastic ones. The thing is, those titles never managed to encapsulate the beautiful simplicity, yet complete randomness Tetris puts on display. You can pick up any Tetris title released over the years today, plop it into whatever game system you have, and still have an amazing amount of fun with it. This is because the core values of Tetris almost always remain the same, and that core is pure fun. As generations roll on, Tetris gets recommended by parents to children, and the cycle continues. It's a puzzle game the entire family can enjoy, and one that doesn't require a lot of teaching to go with it. The basic ideas can be picked up in a round or two, and then you're off on your own Tetris adventure. Before you know it, you'll have spent hours trying to best the game of Tetris. From there on out, you'll be hard-pressed not to sneak some Tetris time into any free moments you get! Over the years, many developers have worked on Tetris and every one of them has recognized what makes Tetris fun, and then added in their own unique flavors as they went along. 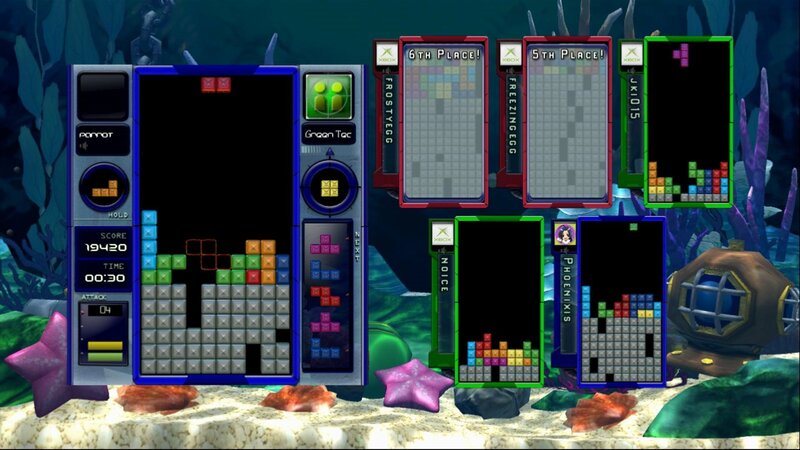 This has resulted in hundreds of versions of Tetris, allowing players to cherry-pick the ones right for them. No matter what type of player you are, there's definitely a Tetris game out there for you. More than 30 years later, the Tetris franchise is stronger than ever. You can bet there's going to be another Tetris release down the line, followed by another, and another. No matter what platforms you have, you can rest assured Tetris will be there for your enjoyment. When you look at Tetris as a whole, it's easy to see how the franchise has lasted so long. It's hard to remember a time when Tetris wasn't part of the game industry, and now that it's been here for so long, we never want it to leave! Perhaps you've never played Tetris before. Start your love affair with the game today by playing a free round on Tetris.com!